Every now and then, you see a film that defies your expectations. You get a screener that is so unexpected that you don’t really know how to talk about it after you are done watching it. You are gob smacked and can’t find the right thing to say. Soft Matter is that film. Distributor Wild Eye Releasing in their press notes describes Soft Matter as “THE SHAPE OF WATER meets GET OUT”. As a huge fan of both of those, that immediately hyped me up. I love creature features and horror movies that have something more to say about the world around us than the genre usually does. Admittedly, Soft Matter is not very similar to either The Shape of Water or Get Out. They have some monster film elements but are told in a completely different way than those films are told. It does have a two-legged fish creature. Other than the two black leads, I don’t think that there is any really serious commentary on race relations in this. This is more of a throwback to the splatter films of the 80’s like Basket Case. If you go into this expecting The Shape of Water or Get Out, you’ll be disappointed. But, if you’re looking for a surreal film that has street art, art installations, reanimated mad scientists, fish deities, dance numbers, and more, Soft Matter is the film for you. Haircut (Devyn Placide) is a graffiti artist and Kish (Ruby Lee Dove II) who “knows some people in the art scene,” decide that Haircut could be the next big thing in the art world. 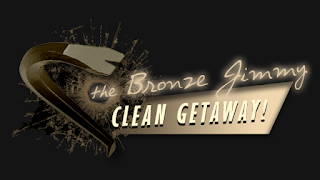 The two break into an abandoned research facility in hopes of creating an art installation. 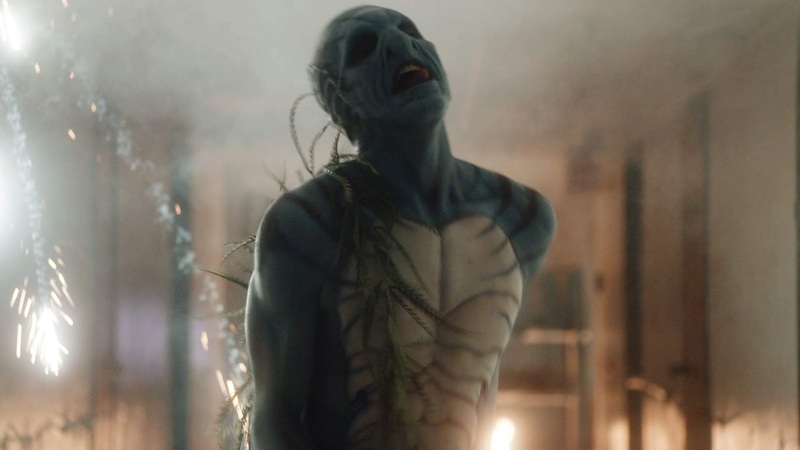 Instead, they stumble upon a team of demented researchers who are in the process of resurrecting an ancient sea creature in an attempt to discover the secrets of immortality. 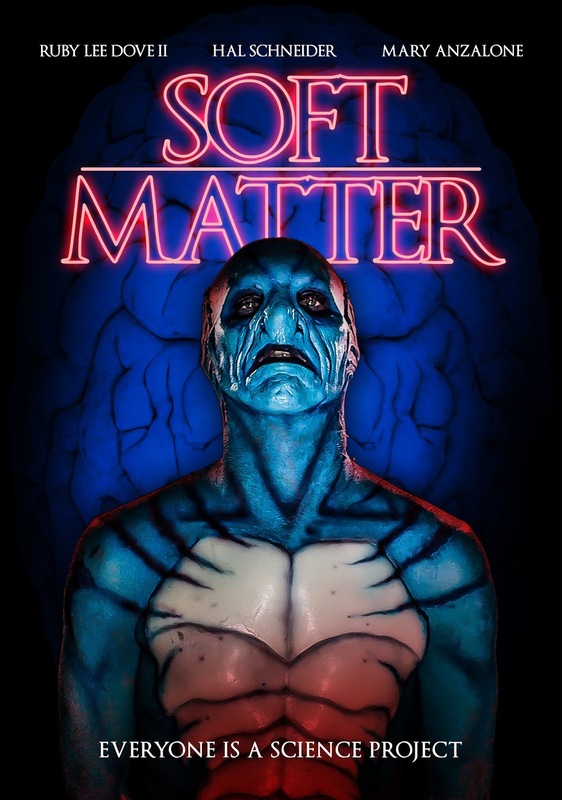 Running just over a lean and mean seventy minutes, Soft Matter is jam packed with the requisite craziness and insanity of a creature feature from the eighties. It is unlike anything I have seen in while. Writer/director Jim Hickcox’s first feature throws so much at the audience, it really is impressive. The gore effects work really well and the film looks impressive, especially for a first time director. Hickcox manages to get performances out of his actors that both are hilarious and feel true to the spirit of the type of film he is making. Soft Matter is a film that I would recommend that all of my horror buff friends to go see. It’s not the best story in the world but it’s a hell of a good time. It’s rough around the edges (like all first features) but it’s got laughs and genuine gross out moments that impressed the hell out of me and the friends I was watching this with. It’s the kind of horror movie that we don’t get to see more often and I hope that we get to see more films by Jim Hickcox in the future.